① The View from the Village: How did Africa get to this Troubled Place? Billions of people survive on less than $2 per day - often while living in harsh conditions. Development expert and professor Ed Carr explores how people make a living in the developing world, shedding light on the everyday genius that allows the world's poorest people to survive. Why are scientists and policymakers so worried about a few degrees of temperature change? Ed Carr, development expert and lead author of several major environmental assessments, explains how a few degrees of temperature change can translate into significant human impacts, and what we can do about them. The changing global climate is creating new challenges for development and poverty alleviation. 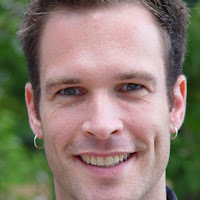 Geographer, anthropologist and author Ed Carr draws upon more than a decade of work on the ground in sub-Saharan Africa and his experience authoring several major global environmental assessments to identify these challenges, and innovative ways of addressing them. Development works, but not as well as we want it to. Famines, poverty, and conflict remain all too common in the lives of the global poor. 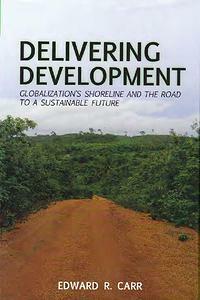 Development expert and geographer Ed Carr draws upon more than a decade of work in the developing world to illustrate how commonly held beliefs about globalization and development have failed the global poor, compelling the audience to question conventional wisdom as they explore alternative ways of achieving meaningful, enduring improvements to human well-being. Ed Carr is a tenured associate professor in the Department of Geography at the University of South Carolina, where he directs the Humanitarian Response and Development Lab. From September 2010 to August 2012, he was an AAAS fellow serving at the United States Agency for International Development, first as the climate change coordinator for the Bureau for Democracy, Conflict and Humanitarian Assistance and later as a climate change science advisor on the Climate Change Team in the Bureau for Economic Growth, Education and the Environment (E3). He then served as a consultant to the World Bank on issues of adaptation and development. For more than 15 years he has worked in rural sub-Saharan Africa on issues of globalization, development and environmental change, living among and working with various rural communities. He is the author of more than 30 publications on issues of development, adaptation to climate change, and the changing global environment. Ed has served as a lead author of two global environmental assessments (the Millennium Ecosystem Assessment and UNEP’s Fourth Global Environment Outlook). Ed has been awarded a Science and Technology Policy Fellowship from the American Association for the Advancement of Science, a National Science Foundation Graduate Research Fellowship, and a Mellon Fellowship in the Humanities from the Woodrow Wilson Foundation. His research has been supported by the National Science Foundation, the National Geographic Society, The United States Agency for International Development, The University of South Carolina, The University of Kentucky, and Syracuse University.